Clannad: Clannad Afterstory - Our wonderful days! Minitokyo »	Clannad Scans » Clannad: Clannad Afterstory - Our wonderful days! 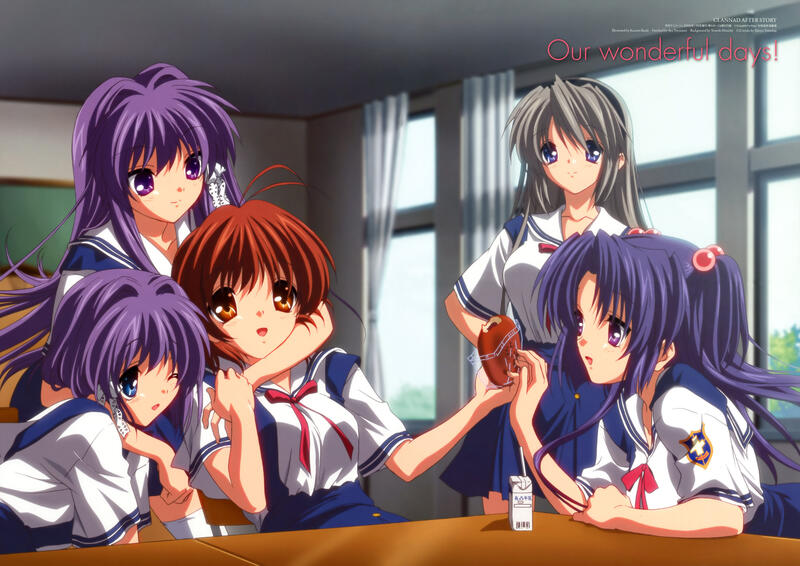 This is a good scan of Clannad, the complete group! those words in the pic make my so sad. It makes look like an album about he old days as it was over already. Those truly are wonderful days. SO nice to see those girls together in one picture.